Although there is a small body of feminist scholarship that problematizes gender in public relations, gender is a relatively undefined area of thinking in the field and there have been few serious studies of the socially constructed roles defining women and men in public relations. notions of managing reputation and communicating policy. 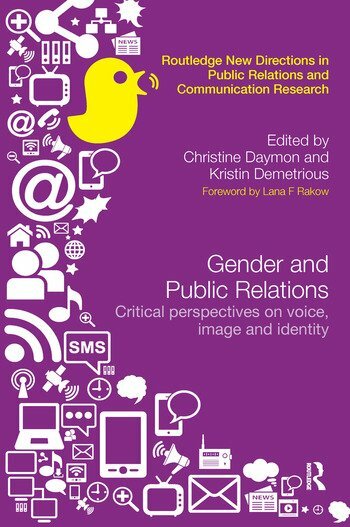 In extending the field of inquiry, this edited collection highlights how gender is accomplished and transformed, and, thus how power is exercised and inequality (re)produced or challenged in public relations. The book will expand thinking about power relations and privilege for both women and men and how these are affected by the interplay of social, cultural and institutional practices. Winner of the Outstanding Book PRide Award, awarded by the National Communication Association (NCA). Christine Daymon is Associate Professor of Communication Management at Murdoch University, Australia. She is co-author of the successful Routledge book Qualitative Research Methods in Public Relations and Marketing Communications, now in its second edition. Kristin Demetrious is Associate Professor in Public Relations at Deakin University, Australia. Her first book is Public Relations, Activism and Social Change: Speaking Up (Routledge, 2013).